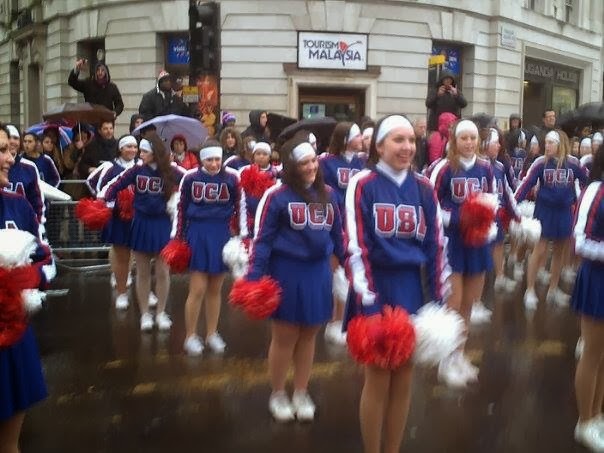 For many years i have always said i had wished i had gone to the New Year Day parade in London, but this year I decided i had wanted to go enough times and this year i was going to do it. So after a few days of wondering whether to go or not, i got up on New Years Day and decided i was going to start the year on a positive. Tilda and i got up, got dressed and took the slow train to Charing Cross. 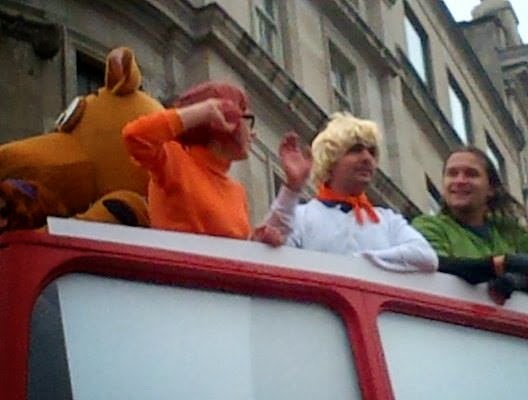 Tilly Absoulutely loved the Scooby Doo float, but lets be honest - who doesnt like Scooby? isnt it the cartoon that most of us grow up on? Even the older kids sit down and watch Scooby Doo as they watched it when they were little. 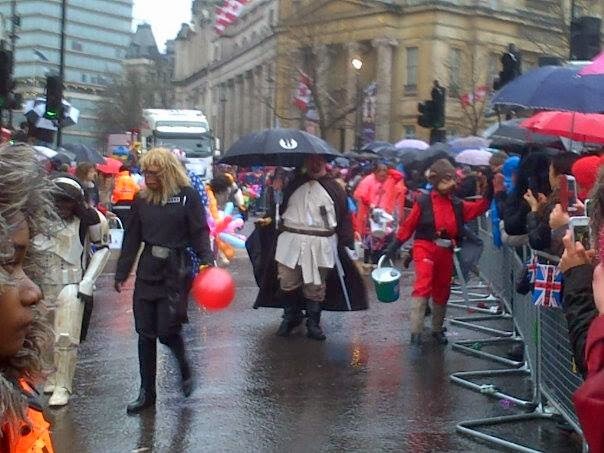 After a while Tilly said she was cold and wet (we had watched the Parade for an hour and half and it was still going!) 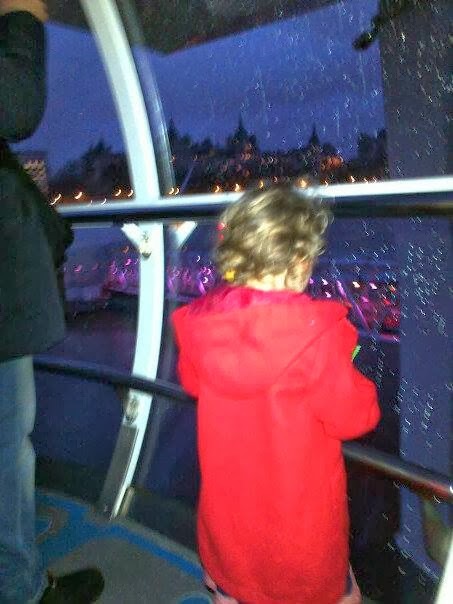 so we headed back to Charing Cross to go over the river to The Dungeons (tillys choice). 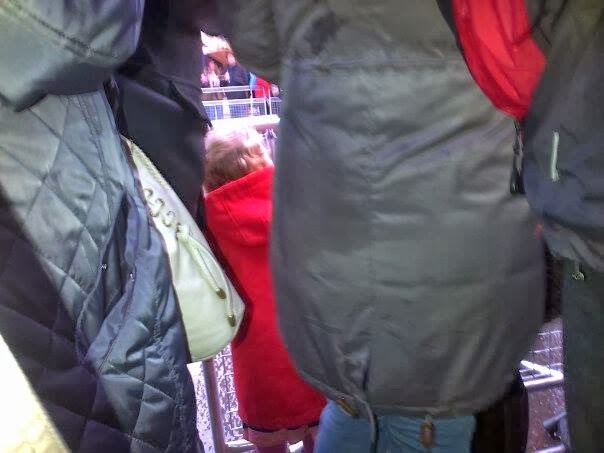 But i bought her a hot chocolate from Costa and she drank it, the had an asthma attack and threw up in the train station as she couldn't quite catch her breath, soon after she fell asleep and we went to the dungeons and as i queued and started the tour, she slept. Waking up not long after it had started. We did the tour of the London Dungeons then i told her we had to back to the train now, but there was no way she was letting me get away without taking her on the London Eye, so we used our Merlin passes again and got on there for free too. The London Eye in the dark is so good as you can see London all lit up.